The world leader in the sailboat business. Beneteau have five boat factories in the Vendee region of France, with one state of the art factory in Marion, South Carolina, USA. They are world's largest supplier to charter companies: It is well known throughout the charter industry, that Beneteau yachts are built to withstand the high demands imposed on them through chartering. In choosing Pierangelo Andreani as its designer, Bénéteau has appointed one of the great names of Italian design to create this new range of open boats that are so Mediterranean. Imagination has produced a powerboat of exceptionally powerful lines and a decidedly “sports classic” feel. By choosing Pierangelo Andreani as their designer, Bénéteau have commissioned one of the best-known Italian names in the field to embody this new Open sports boat with a truly Mediterranean spirit. From Pierangelo Andreani’s designs has sprung a powerboat with stretched lines and a “classic sporty” feel. The interior design is glamorous and luxurious. All the senses have been brought into play in the fulfilment of the design - the feel of the materials, the treatment of light, complementary and contemporary lines. Pierangelo Andreani’s imagination has produced a powerboat of exceptionally powerful lines and a decidedly “sports classic” feel. Whatever your desired waterbased activity, the AntarèsSérie 9 meets your needs with the level of quality on which the Antarès’ reputation has been built. With a fitted galley, cabin with separate head compartment and saloon that converts to a double berth, the Antarès Série 9 makes cruising so inviting. Designed for cruising, the Antarès 9.80 takes you by surprise with its ingenuity and performance. Its seakeeping is excellent. A surprising feature of this powerboat is the flexibility of the cockpit space due to the movable transom. Impeccable accommodation – its spacious saloon and two cabins give four comfortable berths. The Antarès 12 grants you the luxury of choice. Her particularly efficient hull can be coupled with either a classic drive shaft or the new IPS propulsion system. She boasts a brilliant mix of technologies which give you the possibility of increased speed(30 knots), increased range (2 x 600l fuel tanks), as well as benefiting from an electronic control system that makes steering even more accurate and dynamic. To go faster, further, in all weathers, the Antarès 13.80 is an invitation to go to sea…in first class. Spacious and fast, this real offshore powerboat combines luxury and very sturdy seaworthiness. The Antarès 13.80 accommodates all your relaxation and leisure wishes. Fishing, water sports, swimming and diving all await you. As pleasing on deck as down below, this prestigious powerboat will allow you to entertain in the greatest comfort. Designed to the minutest detail to optimise comfort and safety at sea. The Antarès 620 Fishing combines a contemporary and elegant profile with a high-performance V-shaped hull. Designed to be practical and particularly well suited for fishing, it is also cleverly fitted with a range of equipment aimed at coastal cruising. Designed by Patrice Sarrazin, the Antarès 6 has been created for those wanting to share unforgettable times at sea and in the marina. The Antarès 6 has an amazing amount of living space and is very well equipped. The roomy cockpit with shelves all around can be easily converted to a double berth. Born from experience gained from professional fishermen over more than a century, the Antarès 700 Fishing will be your faithful companion, whatever your chosen method of fishing. The Antarès 7 will bowl you over with its practicality. Its large wheelhouse features a twin driving position and a compact galley. Because everyone has their own idea of living at sea, the Antarès 7 gives each owner the opportunity to define the boat of his dreams. A vast cockpit that can be personalized to meet your needs! Whether your preference is for fishing trips or comfortable cruising, the Antarès 8 can be whatever you want it to be, with an uncluttered cockpit, fishing-friendly facilities, bathing platform and a cockpit saloon that converts to a sunbed. Even the most compact is already surprisingly spacious,with a large cockpit, proper sunbathing platform and ergonomic helm position. The Flyer 550 Sun Deck offers new spaces for added comfort - ergonomic helmsman‘s seat, wide side deck, more power - in absolute safety. Enjoy a wealth of sensations with the Flyer 750 Sun Deck. The revolutionary Air Step® hull is your guarantee of exceptional stability, acceleration and comfort. The 650 Open benefits from a very seaworthy temperament and great stability. Its generous space makes it perfect for fishing parties or outings with friends. You will be impressed by her size - the flybridge with U-shaped convertible saloon provides a highly sociable space for up to 6 persons. Enjoyable and successful anchoring facilitated by a dedicated space for the dinghy and very easy access to the sea. Access to the wheelhouse via the side decks, as well as accessing the saloon through the cockpit, provides remarkable ease of movement around. Two large, comfortable and spacious double cabins can accommodate 4 persons for long cruises. Enjoy cruising with total peace of mind – easier mooring, safe access to the flybridge and bathing platform, plenty of stowage lockers. The link between the joy of sailing and the comfort and performance of a powerboat. Fully fitted out for offshore cruising, this flagship of the BENETEAU range invites you to sail away in absolute comfort. The Beneteau Oceanis Clipper 473 has a very spacious feel, similar to the 423 with a modern hull design. The wide aft beam gives the rear cabins ample of accommodation, while up in the cockpit, the twin wheels give you easy access to the rear deck. Want a Beneteau Sail or Powerboat? 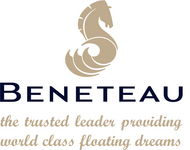 View Beneteau Boats for Sale listed online.